Many of these award winning winemakers produce wines for some of the most famous and decorated wineries in Oregon. You are invited to experience their private efforts based on their personal wine-making philosophy. For many of our wines we are the exclusive outlet and only place that their creations can be tasted. Come discover the largest collection of the “next generation of award winning Oregon wines”! Our personalized experience is custom tailored for 2-8 people to learn about these great winemakers and enjoy beautiful wines at your own pace. Our Wine Director Marc Stein and Chef Colin Stafford curate pairings that enhance the entire food and wine experience, so don’t just “stop for lunch” during your wine country tour, but come and experience the best of Oregon wine and food. Tastings and wine/food experience pairings can be done in the Wine Village, Barberry Dining Room or Fireside Patio depending on your preference. 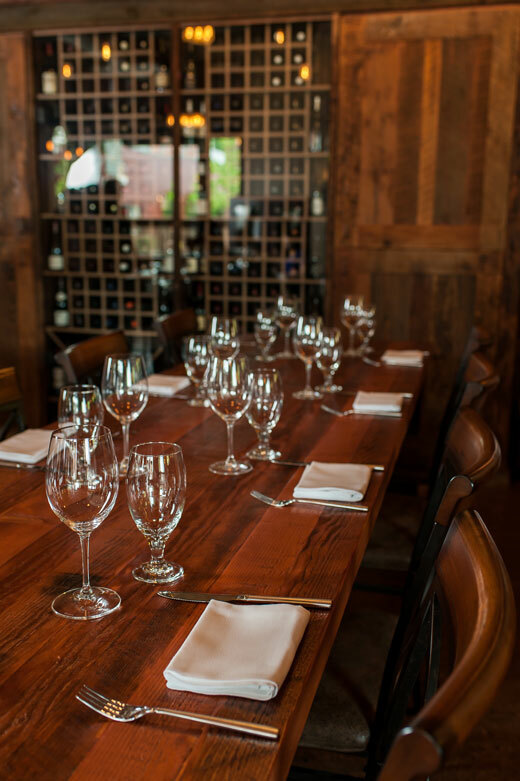 For larger parties (9 or more) we request advanced reservations, so we can accommodate your group and deliver an excellent lunch, dinner, reception or wine tasting.